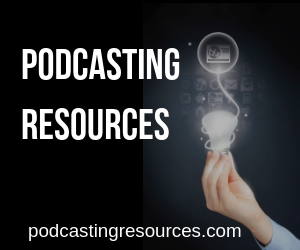 I have been helping people understand podcasting since 2005. I have the technology to share my screen with you so I can literally get us “on the same page” and we can walk you through the podcasting process. This enables me to help people from all over the world. Best of all you get a recording of our call so you can fully concentrate on the content (and not on taking good notes). One of my clients is sight impaired. I take the finish podcast episode and upload and post it on his blog. Marcy Rosenbaum of the Livelihood Show records her interviews. I then edit the audio, turn it into a podcast, create blog posts, upload files, and publish the episode. The Academon.com company hired me to produce their podcast. They provide a script for me to read, and I do everything else (recording, editing, publishing). You can see I can be barely involved, or do the whole thing. It's up to you. Schedule an appointment today. Let's get started! My rate is $200/hr and I charge by the minute (I do not round to the nearest quarter hour. If we talk for 6 minutes, you get charged for 6 minutes – not 15).